Why is it easier to grind and retrieve than play aggressive tennis? It’s easier to grind-and-retrieve than play aggressive-tennis. 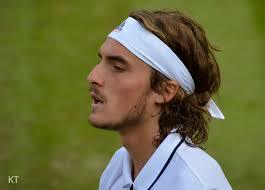 Aggressive-tennis is riskier and with lesser-margins for errors, than retrieving and grinding. The excessively-talented constantly put themselves at risk with their aggressive styles. Are the excessively-talented foolish and irrational? Why many of the excessively talented don’t make it to the pro-levels? At the highest level, the slowing of the playing-surfaces has tilted the game in favor of grinders-and-retrievers. The best grinders will continue to rule until an excessively talented player, like Roger, emerges to spoil the soiree. Such exceptional talent, however, rarely makes it to the pro-levels. There is a dearth of exceptionally-talented players, and except Stefanos Tsitsipas, Nick Kyrgios, and Dennis Shapovalov we are hard pressed to spot another. There’s a thin line, and a deep-pit, separating the aggressive from irrational. 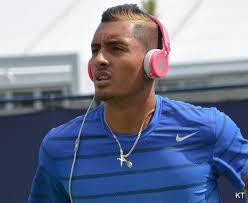 There is, however, no dearth of the highly-aggressive, but not highly-talented, including serve-and-volley players. They, however, cannot make top 50 in ATP rankings nowadays, and the 138-Rule, therefore, is inapplicable to them. Senseless aggressiveness and ball bashing from the baseline counts more for irrational than aggressive tennis. The serve-and-volley and chip-and-charge styles, on the other hand, qualify as genuinely-aggressive tennis but rendered toothless on the slow-courts and by rackets strung with magical strings – producing 4000 rpm spins, and angles defying the laws of physics. Aggressive tennis implies taking time away from the opponent. Aggressive tennis entails taking the ball on the rise to take time away from the opponent. As a strategy it implies moving closer to the net, with each ball-strike, to end the point and reduce the angles available to the opponent. The serve-and-volley and chip-and-charge – the most aggressive avatars of aggressive-tennis – styles have been rendered ineffective and too risky to be employed as basic strategies on the slow courts and because of advancements in string technology. They can, however, be highly effective in crucial points and surprising the grinders, and keeping them real and on their toes, while making them aware of the range of plays available to dent their seemingly impenetrable defense. 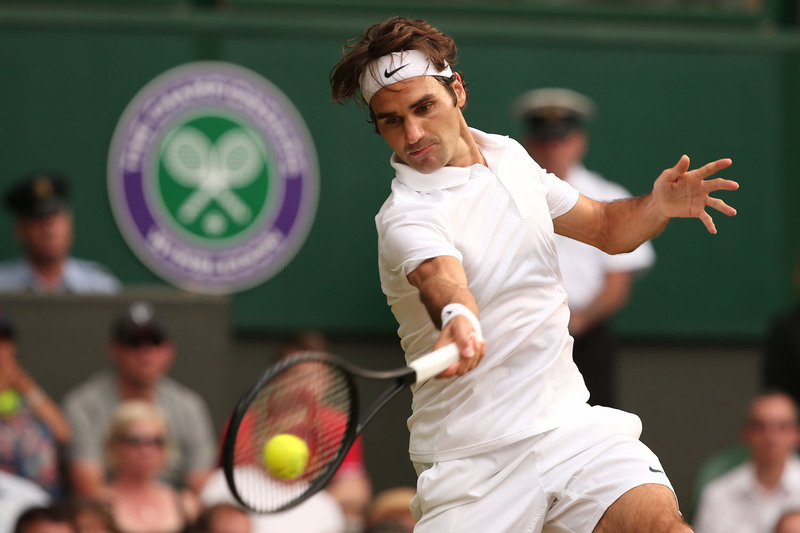 Why the exceptionally talented tend to wield the single-handed backhand? The single-handed backhand is not only difficult to learn but also relies on impeccable timing, which is the domain of the exceptionally-talented. When wielded by the exceptionally talented, the single-hander has more power, variety and deception, and better reach than the double-handed backhand. The transition game, a prerequisite for aggressive tennis, can never be complete without the mastery of the chip-and-charge, which comes naturally to the single-hander. Only the exceptionally-talented players are foolish enough to round their tennis with the single-handed backhand. Controlled aggression is the answer. Unless the court surfaces are made faster, tennis will continue to be dominated by the very best baseline grinders like Novak Djokovic and Rafael Nadal. The last man standing after 200 base-line rallies, each with twenty or more shots, will win. The “grind-until-collapse” style will infest the tennis-world until another rare and precocious talent, like Roger Federer, will master the baseline to create ways of moving forward and close at the net. Only the exceptionally-talented can master this form of controlled aggression, in one lifetime, which entails the control of the base-line, mid-court, approach, transition, and net play. The chip-and-charge, as in the past, can even today be employed to move towards the net, and draw errors by putting the opponent under pressure. The chip and charge, however, can only be effective as a tactic and not strategy on the slow courts of today. On the slow courts so loved by the ATP and WTA today, controlled aggression is the answer to the perennial question – Is it time to attempt a winner or make the opponent play one more ball? 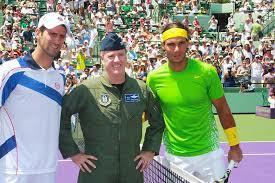 Why most, including Nadal and Djokovic, do not qualify as aggressive players? Even the very best today do not take the ball on-the-rise. They may not strike the ball late or on the way down but, for the most part, do not take it on-the-rise or very early. Most, including Nadal and Djokovic, don’t mind approaching the net on a short or mid-court ball. They, however, are not adept at creating opportunities to end points at the net. ← Tennis: The 138-Rule and the exceptionally talented versus the exceptional retrievers and grinders.